These are not actually photos, but sketches of Honda BR-V which was revealed by Honda yesterday. Earlier, there were lot of speculations that Honda might be introducing BR-V Compact SUV. 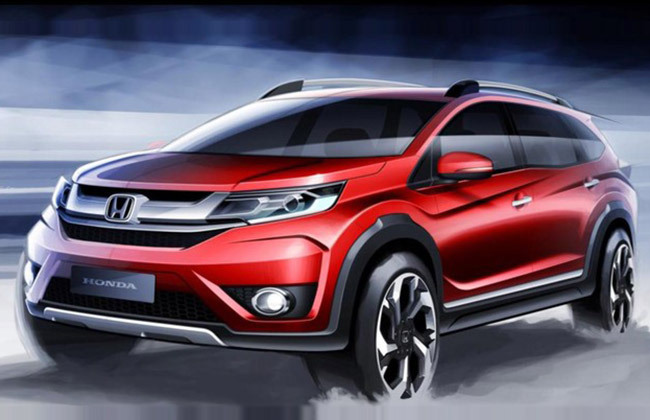 The official press release from Honda confirmed that Honda BR-V is something real as it has revealed the sketches of the car in a mid-year media event at P.T Honda Prospect Motor. 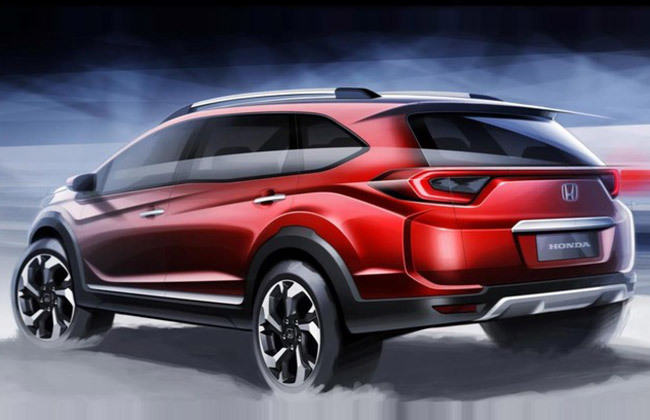 Honda calls the car as next generation CUV – Crossover Utility Vehicle. BR-V is set to make it to Gaikindo Indonesian International Auto Show 2015 which commences between August 20 to August 30 this year(2015) in Indonesia’s Tangerang. The upcoming Honda’s BR-V stands for Bold Runabout Vehicle which is going to be a 7-seater with a 3-row configuration. The 7-Seater claim by Honda BRV has surprised auto enthusiasts. The engine of the car would be paired to 2 advanced transmissions. This Crossover Utility vehicle from Honda is going to be powered by 1.5 litre petrol engine and you may also expect 1.5-liter i-DTEC diesel engine in Indian market. Honda’s R&D unit – Honda R&D Asia Pacific Co. Ltd (HRAP) Thailand has developed the new Honda BR-V for the Asian market. BR-V is also the 3rd product developed by HRAP. The all new BR-V is expected to be based on the Honda Brio’s platform which is code-named as “2SJ” when it was imported to India sometime back. The Honda BR-V press note reveals details on the design aspects of the car. The company says the BR-V is going to sport a “tough and solid” exterior along with a high ground clearance and larger alloy wheels plus roof rails. On observing the sketches of Honda BR-V closely one could make out the presence of projector headlights, skid guards and body cladding. The detailed specifications of Honda BR-V, Price of the car are not revealed yet.